SOLD OUT!! Alpacas are coming back to visit the Winery! I’m sorry, but the event on April 14th is sold out. Please note this is a ticketed event and only those with tickets will be able to enter as there just isn’t enough room for everybody. We don’t want anyone to waste time and gas if they don’t have tickets. We typically host the alpacas once or twice a year; the week after they are here, it’s time for them to be sheared, and then summertime is too hot for them to be at outdoor events. So we try to plan these events in the spring or fall, weather permitting. If you would like to be notified when future events are set up, send an email to Donna@PeachCreekVineyards.com and just say ‘Add me to the Alpaca Newslist’. Have you ever wanted to ‘meet’ an alpaca? This is a perfect opportunity! 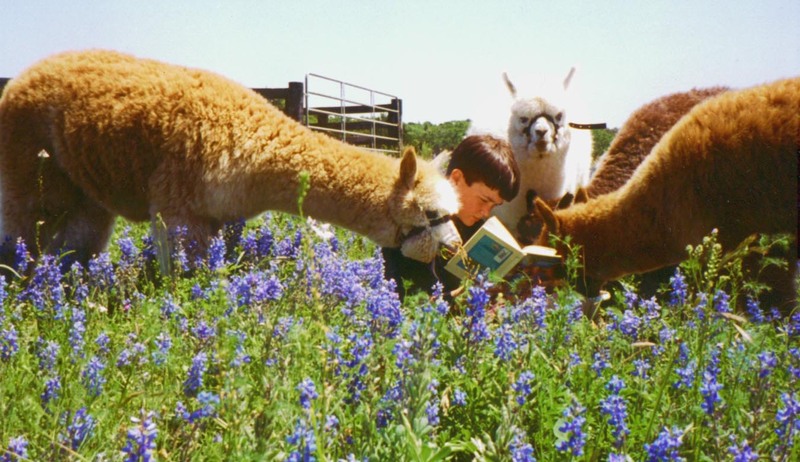 We’re very excited to share the news that Bluebonnet Hills Alpaca Ranch will be bringing some of their alpacas to the winery on Sunday afternoon, April 14, 2019, weather permitting. Bring your family, enjoy a glass of wine, and have fun getting to visit with the alpacas. They are looking forward to meeting you or seeing you again! You can get more information and/or buy tickets here. Keep watching for new event dates! 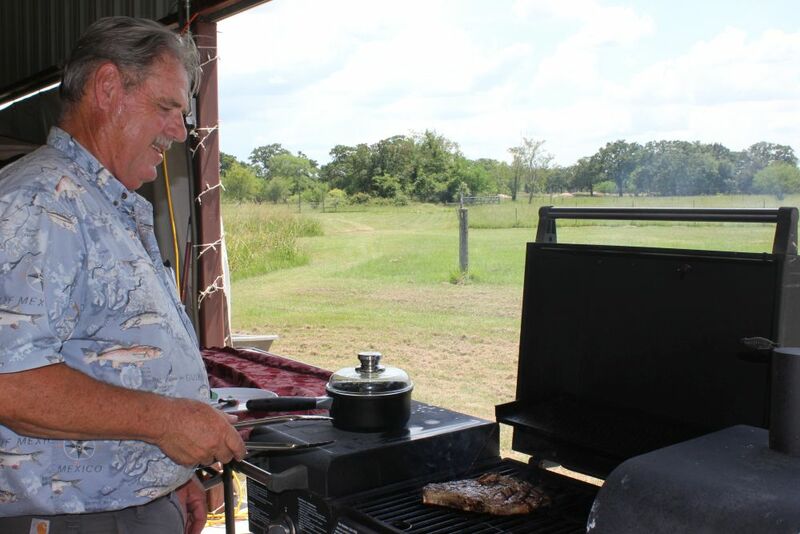 Dad loves to spend his free time on the grill, so why not let him grill out at the vineyard to celebrate Father’s Day! 12th, so make your reservations now to ensure you don’t miss out! Spend a relaxing afternoon with Mom sipping wine, walking through the vineyard, and enjoying the country atmosphere at the winery. There are currently over two million residents of the Lone Star State claiming German heritage, and many of these will be celebrating that heritage at an Oktoberfest this year. Often beer comes to mind when you think of Oktoberfest; however, Germany is also very proud of the many fine wines made there. 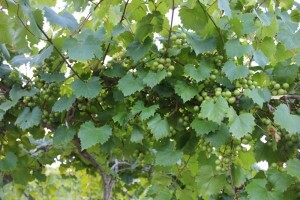 Actually the grapes from some of the sweet white wines now made in many countries originated in Germany, the most well-known of these being Gewurztraminer (which means spice grapes) and Riesling. 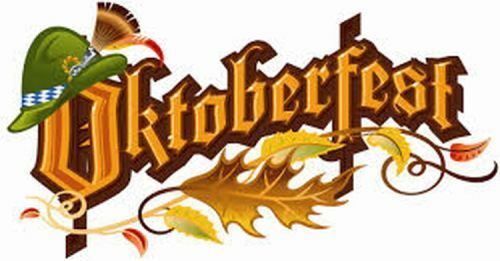 So in celebration of our German heritage, and to pay tribute to the German wine industry, we host an annual Oktoberfest Party at Peach Creek. Our Oktoberfest parties come with a bit of a Texas twist, as we serve up a heaping helping of country music instead of oom-pah music. This year, we will be enjoying the music of Darwin Macon. But in keeping with German tradition and to lend a little authenticity to the party, there will be bratwurst, yummy handcrafted sauerkraut, special German bread, and homemade Peach Kuchen. Although we are not allowed to serve German beer on the premises (due to TABC permit rules), there will be some delicious Peach Creek wines and Wine Slushies available to enjoy with the music and the food! Our annual event to give thanks for the health of the vineyard and for the upcoming harvest. This year, the event will be at 6:30 pm on Saturday, June 18 and will be officiated by Craig Borchardt, Ph.D., President and CEO of Hospice Brazos Valley. Craig is the President and Chief Executive Officer of Hospice Brazos Valley, a non-profit based community hospice serving 17 counties. He also is the Chairman of the Texas Non Profit Hospice Alliance. He previously served for 20 years as the Senior Pastor of Peace Lutheran Church in College Station, Pastor of Grace Lutheran Church, New Orleans, and Special Assistant to the President of Lutheran Social Services of the South, a social service agency of the Evangelical Lutheran Church in America (ELCA). Craig is an ordained pastor on the clergy roster of the ELCA. You’re also invited to join us for fun and entertainment from 5:00 until 8:00 pm. Music will be provided by a nationally acclaimed local jazz musician, Greg Tivis. Take the Great American Songbook and combine it with a great jazz pianist and you’ve got Greg Tivis. In the tradition of Frank Sinatra, Harry Connick, Jr., Michael Buble, and Diana Krall, Tivis is a renaissance man in his own right. Crisp flowing articulation and a distinctive swing style have elevated this jazz artist to another level. In musician’s terms, Greg Tivis is a veteran who knows the trenches. From show bands to circus bands, dance orchestras to blues bands, jazz bands to rock bands, he’s been there, done that. He’s paid his dues, and earned the respect of musicians and fans all over the country. He does it for one reason, he loves to entertain people! If you like drinking out of a wine glass, feel free to bring one with you; we serve in plastic cups at events for safety. However, no outside food or drinks can be brought in. 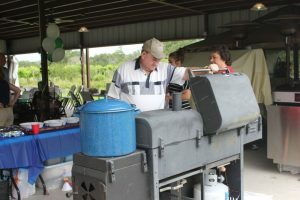 Dad loves to spend his free time on the grill, so why not let him grill out at the vineyard to celebrate Father’s Day! Tickets included two steaks to cook out on the grill, two ears of corn, two slices of Texas toast and two baked potatoes with a bottle of wine to go with it! Arrive around 9:30 for meet and greet fellowship, coffee, and muffins. The workshop will begin promptly at 10:00 with Ken explaining some of the basics on planting and pruning. 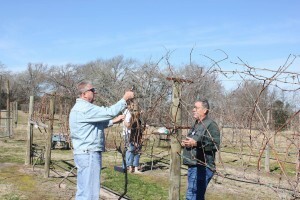 The program will move outside where you will enjoy a beautiful morning in the vineyard and do some hands-on learning. Bring a large bag and you can select cuttings to take home to start your own vines with, and/or pick out some to use for making grapevine wreaths or other crafts. We’ll finish up with a light lunch and wine on the pavilion, The cost of the workshops and lunch is a bargain at only $30 per person. Reservations are requested by January 20th, and can be made in the store section of this website, or in advance at the winery. 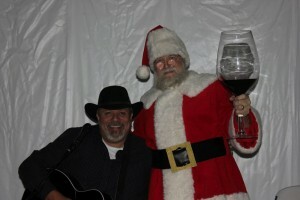 Santa and his Super Sized Wine Glass will be joining us again for our December Holiday Party! The party will be on Sunday, December 20th, from 5:00 to 8:00; and there will be some great snacks, and possibly wassail or mulled wine to help celebrate the holidays. Entertainment will again be provided by musician Chris Austin Martinez. We’ve been fortunate to have Chris perform at several of our music events this year, and those of you who have joined us for them, know why we’re always excited to have him play here. Chris is from the College Station area, but has performed all over. 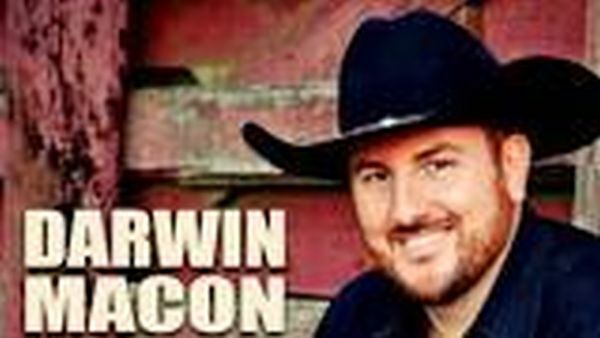 Some nearby venues he has played at are the Washington County Fair, Santa’s Wonderland, the Derrick Bar in the Houston Marriott Energy Corridor, and the Gin at Belton. 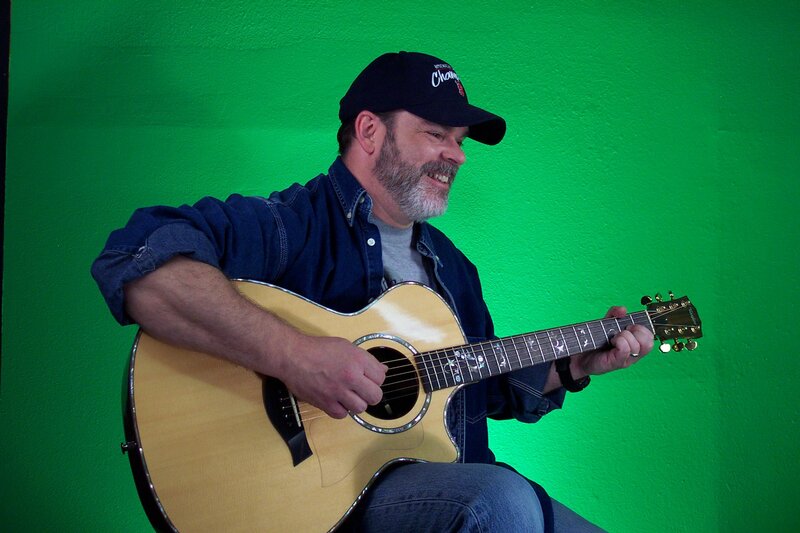 Chris will be playing at Peach Creek from 5:00 to 8:00 that evening. So in celebration of our German heritage, and to pay tribute to the German wine industry, we’ve decided to start a new tradition at Peach Creek by hosting a local Oktoberfest Party. This year, it will be Oktoberfest with a bit of a Texas twist as we will be enjoying country music by Brandon Smith in lieu of oom-pah music. However, there will be bratwurst, yummy handcrafted sauerkraut, special German bread, and homemade Peach Kuchen on hand to lend a little more native authenticity to the party. Although we can’t serve German beer on the premises (due to TABC permit rules), there will be some delicious Peach Creek wines and Wine Slushies available to enjoy with the music and the food! So make plans to join us on Sunday, October 18th, from 4:00 PM to 7:00 PM as we salute Texas Wine Month and Oktoberfest. Brandon Smith will be featured at our Oktoberfest Celebration. 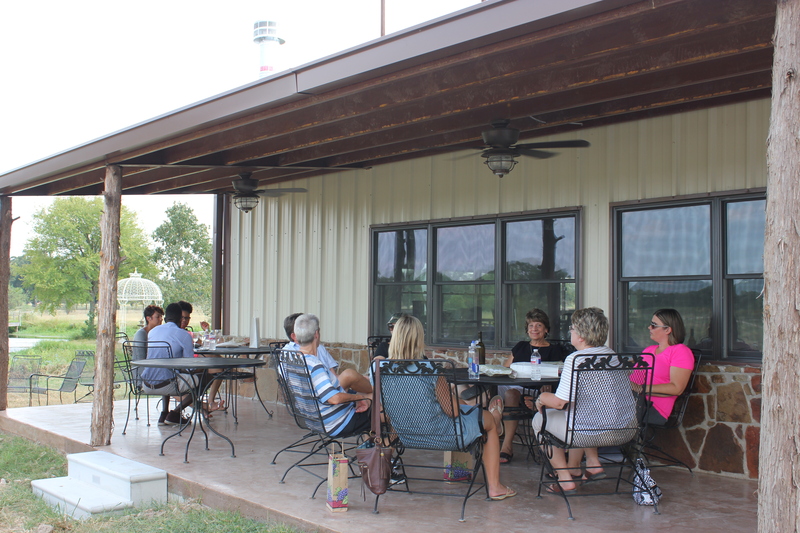 October is the official Texas Wine Month, so what better reason for a party! Music lover of all genres, Brandon’s forte is country. He found that his lyrics were down to earth, honest, and aggressive to his listeners and fans. Growing up in rock bands, trying to find a unique sound, Brandon eventually fell back to his roots; a good ole southern sound, with a twist of rock ‘n roll and blues. Brandon began playing in rock bands as a rhythm guitar and trumpet player in his early teens. After high school he decided to attend Texas A&M University where he met several co-writers and drinking buddies to write songs with. Turns out a little whiskey may or may not have helped write songs like “Whiskey War”. “White Trash Woman”, “I Still Love You”, and “Try to Love Again”. He’s a singer/songwriter traveling across Texas playing in barrooms, dance halls, saloons, boardwalks, and private parties, just about any place people get together to have a great time! Join us as we celebrate the Grand Opening of our new Tasting Room and our September Wine Club Pick-Up Party! Mitch Marcoulier has spent most of his life in and around music. He grew up in New Hampshire playing in bands, or touring with Michael Jackson, Janet Jackson, Pat Metheny Group, and a host of others as their audio tech/keyboard tech/sound designer, Then he worked in the LA Music/Film/TV industry for 20+ years writing and recording/producing songs in my studio for himself and other artists, as well as movie soundtracks. But he has always enjoyed performing live music the most! There will be a $5.00 cover charge for the music. Chicken spaghetti & garlic bread will be available for purchase starting at 5:00 while supplies last. On the Sunday of the final Harvest Trail weekend, July 19th, you’re invited to join us at Peach Creek immediately after the Trail activities (about 5:15 PM) for our annual Blessing of the Vineyard. The Reverend Rodney Calvert will perform the short ceremony of thanksgiving around 5:30 pm. After the ceremony, music and snacks will be available until 8:00 pm. There will be a $5.00 cover charge for the music. Mike Gallo will be providing music for the event. Mike Gallo is a solo artist who has made a specialty out of playing small to medium size venues. His acoustic guitar work is like none you’ve ever heard. Even his gentle love songs are laid on a foundation of complex rhythms. Perhaps guitar work is what he is most proud of, and you can hear it in his music. His faster songs rush like water flowing down a rocky creek. His acoustic guitar sound is exceptional with bass and synthesizer pads adding to the fullness. On the other hand, he makes his Les Paul cry as he plays over tracks he previously recorded in his studio. Drums, bass, keyboard, and other guitars lay a groove for him to navigate his way through the songs. It is all him though, all of the programming of the drum machine and keyboards, playing bass guitar and rhythm guitar, and laying background vocals. Mike doesn’t hide behind the tracks, but uses them as a tool to fill a room with a full band sound. The music in Mike’s set is mostly original, sprinkled with songs from some of his favorite artists, you’ll hear some of Mike’s original music that you’ll be impressed with, plus some other songs that you’ll recognize. 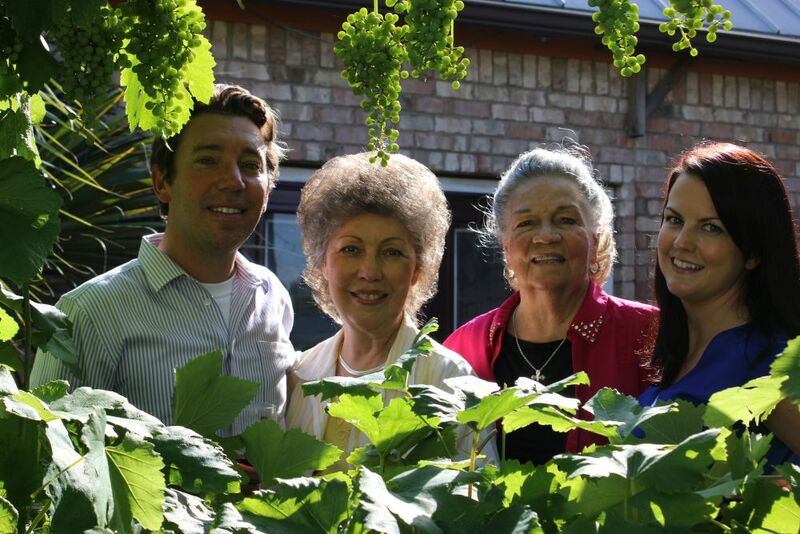 Mike has played at many venues all around Texas, and we’re very excited to have him perform at our Vineyard Blessing! Treat mom to a relaxing afternoon on Mother’s Day. 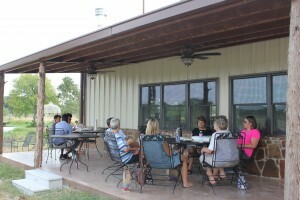 There’s plenty of time for a nice lunch, then spend an enjoyable afternoon at Peach Creek Vineyards. Mitch Marcoulier has spent most of his life in and around music. He grew up in New Hampshire playing in bands, or touring with Michael Jackson, Janet Jackson, Pat Metheny Group, and a host of others as their audio tech/keyboard tech/sound designer, Then he worked in the LA Music/Film/TV industry for 20+ years writing and recording/producing songs in the studio for himself and other artists, as well as movie soundtracks. But he has always enjoyed performing live music the most! He plays a mixture of Acoustic Rock, Blues, Folk, Country, and Pop from the 60’s on, with a wide range of music similar to The Eagles, The Beatles, Fleetwood Mac, and Jim Croce. Samples of his music can be found at http://www.reverbnation.com/mitchmarcoulier. Currently living nearby in Bellville, he regularly plays at venues in Houston, Katy, and Round Top. Make plans to spend the afternoon relaxing and listening to Mitch at Peach Creek; Mom, Wine & Music, how perfect is that!